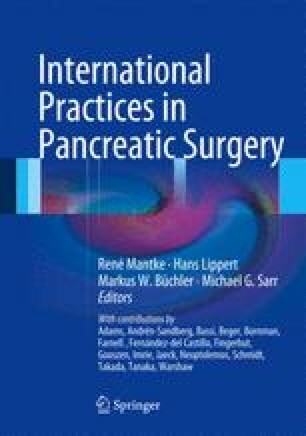 While most patients with uncomplicated chronic pancreatitis (CP) can be managed conservatively, operative treatment offers good results in carefully selected patients, especially those who have intractable pain and are at risk for opioid dependency. Operative intervention should only be undertaken when conservative measures including endoscopic interventions have been exhausted. In the alcohol-induced group, patients should be required to undergo a rehabilitation programme before operative intervention is undertaken.